We are thrilled to end 2014 with an exclusive interview with John Holland, one of the top Spiritual Mediums on the world stage today. John has answered our questions in great depth and the answers offer both insight into what it’s like to be a practising medium and the fascinating subject of mediumship. John Holland takes his work seriously and treats it with the utmost integrity and respect. Born with an inner-sense of knowing and a naturally gifted psychic medium, he has studied metaphysics throughout his life, spending over two intensive years in England, training and working with some of the top psychic mediums. He received confirmation of his special psychic abilities after a near-fatal accident when he was 30 years old, when his unique skills were amplified and brought to the surface. From then on, there was no turning back! Today, John’s charismatic and lively demonstrations provide his audience with a rare opportunity to experience the fascinating phenomenon of mediumship, which he delivers with his distinctive style of humor, intensity, and compassion. He loves to educate as much as being a medium, and offers a rare insight into the actual mechanics of mediumship, explaining just how he’s linking with spirit and the different forms of communication, both in words and images. 1. You have written a many wonderful books; have you any plans this year to release any more books in 2015? Spirit Messages has literally just launched, and was very well received at the Frankfurt Book Fair as well, so my publishers are pushing the launch of that at the moment. Yes, I am always considering what my next book might be like, but the market is changing rapidly at the moment, and with more and more time being spent developing on-line courses and ways for people to experience and learn about their psychic development, I just know that any new book will need to take these ideas on board. So to answer your question, watch this space! 2. You have a couple of oracle decks out and your new one The Spirit Messages just released, can you tell us more about these cards and what inspired you to create them? 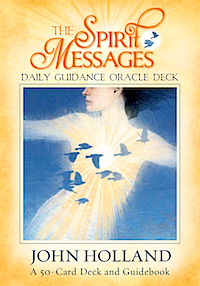 I created Spirit Messages Oracle Deck to assist the user in getting support, comfort and divine guidance from Spirit, their loved ones, family, ancestors, friends, guides and helpers in the Spirit World. These cards will also help the user to develop a higher awareness of Spirit and to remind you that you’re never truly alone. These extraordinary cards will bring insight and clarity around some of the major decision points in your life, or just to reaffirm that you’re making the right decisions. The Spirit World communicates through these cards with guidance and direction in matters of self-love, vulnerability, relationships, trust, and more. As you work with these cards, they will strengthen your natural ability of intuition and the beautiful loving bond that you and the Spirit World share. Taking care and loving yourself is not a sign of being selfish, but one of necessity. This card is a timely reminder to acknowledge how much you’ve given to others, but in doing so, how you’ve also forgotten about your own needs and what’s truly good for you. When you focus on what you need as opposed to what you want, you’ll gain the strength and purpose to refrain from making the same mistakes. You’ll become more aware of past negative behaviour and thinking patterns that have caused you hurt or distress. As a result, you’ll be able to stop and change them into positive affirmations both now and for the future. 3. Have you planned any workshops or tours for 2015, if so have you any details to share with us? Yes, I have another action packed year ahead, and as always my calendar of events around this time is in constant flux with new events being posted weekly http://johnholland.com/events/2015 is a great way to see where I will be. For example, I will be teaching with some other great speakers including Sonia Choquette and Gregg Braden for a 5-day retreat in Cancun, New Mexico and then in June at the 5th Annual Afterlife Conference in Virginia Beach. In September, there’s a fascinating weekend conference at the Omega Institute called Energy, Mind & Spirit Conference, which will be a first and a powerful line up of speakers. To round things off, I will be coming to London in October to give a demonstration and a weekend Mediumship Masterclass, and will be teaching with Tony Stockwell who I admire greatly, so we’re both excited about working together in the UK in 2015. 4. Have you always been aware and accepting of your gift and how old were you when you realised what was happening to you? Well, I was born in the tough suburbs of Boston, and to be honest I can only say that it was a pretty difficult childhood, as I was often ridiculed by my family and society mainly for being a little sensitive, or just in their eyes odd – roughly translated as they didn’t know how to describe me in laymen’s terms. I was left feeling isolated because of my psychic abilities. 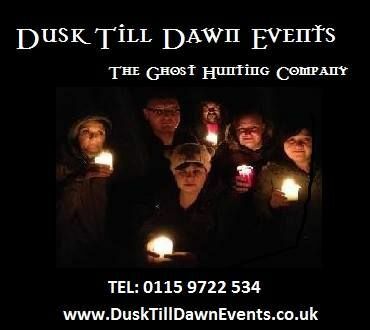 So I struggled through my early teens, and tried not to deal with it, even though I couldn’t explain or tell anyone about the spirits I often saw walking through my bedroom at night! Even though this was a lonely time, I refused to acknowledge my gift until a near-fatal automobile accident (in my early 20’s) amplified my abilities to the point where I had to learn how to control what was once pushed away. It was shortly after this, that I felt myself being drawn by the history and knowledge of spiritualism in England, and by luck opportunity presented itself for me to spend 2 years in the UK studying. I wrote about my story in my first book BORN KNOWING and how I trained by some of the top mediums in the British spiritualist organizations, which I still refer to this day as my “Spirit Boot Camp.” I eventually gained acceptance and respect within this tightly knit, often-conservative spiritual community and it was what set my on my path for the rest of my life. 5. Please briefly describe your first psychic experience. How old were you at the time? Looking back on my early years, I guess learning to walk, speak, and eat was a breeze compared to the real lessons I’d end up having to master. I often joke that when I was born, it wasn’t as though I shot out with an instruction manual titled How to Grow Up and Become a Medium. No, I was just a normal kid growing up in Boston, where I dealt with the happiness and sadness that were both a part of my early life. I felt like most other kids, but the truth of the matter is that I was different in the best way possible. As for my first psychic experience, that’s a tough question as there were so many, but maybe around the age of six was my earliest recollection. I was about six or seven. It was definitely past midnight, so my bedroom was pitch black. I’d woken up for no apparent reason and glanced at my two brothers who were asleep on the far side of the tiny, crowded room. Straining my eyes in the darkness to familiarize myself with my surroundings, I was comforted by the peeling ’60s-style green wallpaper I’d seen my entire life. As usual, clothes and toys were scattered all over the floor, which seemed very normal to me. Yet I shivered slightly as I felt the room’s temperature drop. What was going on? Something was in the room. I could sense its presence, and then it made itself known. I was confused and fascinated, but surprisingly, I wasn’t scared. Out of the corner of my eye, I was drawn to a small spark of light dancing in the air. Was it the reflection of a headlight coming through the window, or the flickering streetlight? No, it was too tiny—it reminded me of a small pocket penlight, for it was just the smallest speck of illumination flitting about the room. Suddenly, it was as though the outside world had suddenly ceased to exist, and I couldn’t hear a thing. I was frozen in the moment. The light gathered speed as I watched it bounce from one wall to another. I tried to figure out where it had come from, but there was no time to think. Soon, the light was hovering in front of my face, and before I could move or turn away, it seemed to shoot right through me. It felt like an exploding star, and it made my entire body vibrate. Every cell seemed to be charged with energy. I knew that most kids would have crawled under their beds or screamed for their mothers, so it was strange that I wasn’t afraid. As a matter of fact, I felt illuminated from the inside out, even though my practical voice of reasoning was screaming, What was that?! I turned around in my bed to see where the light was, but just as quickly as it had arrived, it vanished. As my mind returned to a semblance of consciousness, I remained upright for some time until my body slowly calmed down. As I pulled the blankets up even higher around me, I realized one thing—sleep was out of the question. 6. Being a Medium you talk to those who have crossed over and spirits. Do you remember ever passing on a message that was intense and emotional for you personally? This is a story that I’ll always remember. It’s just one of those amazing messages—one of those that few mediums ever forget. I’ve been giving public demonstrations for many years, and over time, the audiences have grown, yet it really doesn’t matter whether there are ten or ten thousand. Sometimes, there’s one special message that seems to just stands out above the rest. Somehow, certain messages touch people in a profound way, and even if during the demonstration, they don’t get a message personally, one particular message resonates with them and they take home the message they heard and share it with others. One single message for one person can affect the many. Funnily enough, they often come right at the end of the demonstration, just when I think my link with the Spirit World is fading; it’s a though that last spirit leaps forward to grab my attention and they won’t go until I’ve made the connection for them. I have to keep my energy raised that bit longer, to keep the link open. On this particular evening on my home turf in Boston, it was sell-out audience, and I was excited to be back. I’d even bought a new suit with a brilliant coloured shirt. My manager had everything organized, and we dressed the stage in black velvet with purple lighting, which looked awesome. There was single stool and an antique easel with a huge print of my latest book “Psychic Navigator.” We’d laid out over a dozen beautiful white roses across the front of the stage, all individually wrapped with white ribbons. It was my own way of finishing a message, as my runners would give the recipient one of the roses. It’s become my personal trademark, and people love taking them home to remember and honour the message they’ve just received. It had been a brilliant evening, and as always, I had no idea of how much time I had left. I glanced down at the front of the stage and noticed there was just one rose left. At the same time, I got the signal to say I needed to stop. I knew as tired as I was that I had to squeeze in just one more! Immediately, I was drawn right to the back of the auditorium. In the far corner, I couldn’t see a thing, as the lighting was too dim. I knew I was being guided to one specific area of the auditorium. In my mind, I kept seeing and feeling as if I was going down in a plane. It was a terrifying feeling, and I could sense the panic and fear throughout my entire body. I knew I had to ask, and so I pointed towards the far left hand corner. “Would someone understand about a plane accident, like a crash or a plane falling from the sky, and someone passed on that plane. I feel like this is a message from a young man!” No one uttered a word, but everyone almost simultaneously turned to face the back of the auditorium. When you get such a strong link, as this was, I felt as though I was reliving the whole experience that the spirit must have gone through. I knew he was reaching out with all his love to make a connection with a woman. I was sure that she was at the back, sitting there in the darkness. After the silence came this ever so soft voice. I could only hear her as she spoke back from the darkness. It sounded as though she was a young woman. “John, I understand about a plane going down,” she almost whispered. A runner scrambled up the stairs and handed her a microphone. At that, I felt his presence draw even closer. He clearly wanted my undivided attention. Well, he certainly had it now! I stepped forwards slightly to get out of the glare of a spotlight, so I could now see her face in the faint light, and saw how composed she was. I asked her to say her name. “Amanda,” she answered and as she said her name I felt an upsurge of energy, this usually means I have the right person as the link becomes even stronger and intensifies. “He’s telling me more Amanda” I went on, “about the rock?” Well, that was enough, as she gasped I knew that I’d touched a nerve, but I had something important to tell her. It was coming in thick and fast. I could tell that he was so happy to be here, talking to her. The only way I can describe the feeling, is like being on a computer when you download some software, but in my case it’s a jumble of images, feelings, emotions, words that miraculously get unscrambled as I speak. How I was going to deliver delicate information such as this was never easy. “Amanda, he’s telling me he didn’t suffer, didn’t feel a thing, that he was with other brave people … does this mean anything to you?” Before she had a chance to answer, I felt the jolt of the crash. I quivered and knew immediately that he’d been on the third plane that had gone down on September 11th. Of course, I’d been glued to the news for days at the time, and even though I knew the facts, he was showing me how some of the passengers had tried to overcome the terrorists. I gently explained that I knew how he’d died, but more importantly, how brave he’d been. She just nodded. I had to compose myself for a second or two, and I could see tear streaked faces all around the audience, most of whom had turned to face the back as they wanted to see this young woman receive her special message. This was without doubt one of those readings that I knew we’d all remember for a long time to come. “He’s OK, you know that, but I’ll say this Amanda, he’s quite insistent. He wants me to mention the rock again, as though this is something significant for you.” I had no idea at that moment what sort of rock he was talking about. Then she spoke. “Yes John, the rock is special. My husband and I chose a special rock down on Cape Cod, and every year on our wedding anniversary, we’d go and celebrate by sitting on the rock with a bottle of champagne.” She stopped to catch her breath, before continuing, “since September 11th, and every year without fail, I’ve gone back to that our rock on my own. I’ve often felt his presence there with me, but never knew for sure. Over the years, I’ve started to realize that I have to move on.” Before she could go on, he spoke again. “Amanda, he’s telling me that he was with you every year. He was there, he touched and caressed your hair when you were thinking about him as you looked over the sunset on the ocean, and he knows how much you love and miss him, but he wants you to be happy. He knows about the new man in your life, and he wants you to be with him, to be happy again, and to let you know its okay to love and laugh again, you so deserve it.” The audience sat there in stunned silence, caught up in the tenderness of the message. Amanda told me that indeed, she has met someone special, but she felt so guilty moving on. She said that the message she’d just received was what she so needed to hear. The gentleman that she’d been seeing for some time had asked her numerous times for her hand in marriage, but she been unable to answer him, constantly telling him she was not ready. Yet, her heart so wanted to completely love again. She also told me that he was willing to wait until she was ready. I thought to myself, but didn’t share it with the audience, what a lovely and strong man he sounded like, and that she really was meant to meet him. The whole audience almost dissolved into tears because not only were they touched by this delicate message, but also it brought back memories of that awful terrorist attack, and the impact it had on the world. I watched as the applause continued as people sitting in Amanda’s area stood up and hugged her as my last white rose was handed over to her. I felt a pure sense of joy and happiness for Amanda. I was sure that she’d be able to move on with her life. I knew she’d always hold a space in her heart and her soul for her first husband, but with his blessing, she could continue to enjoy life to the fullest. Through my work, I’ve discovered that many couples find it hard to move on when they lose a spouse or a partner. While some people feel guilty moving on, others feel like they’re cheating on the person that has passed, and yet some feel they don’t deserve to be happy and choose to go through the rest of their life alone. Those on the Other-Side don’t want us to linger in pain or to be alone. They know that as humans, how much we need to touch and to be touched, to hold and above all, we’re meant to love and to be loved. There’s never any judgment from them when it comes to affairs of the heart and when you feel you cannot get out of bed because of your sadness it is them who gently try to push you forward to move on. To cope with the loss of your life partner, the best advice I can give is that they wouldn’t want you to suffer in silence alone. I recommend that you talk to someone about your feelings, be it a close friend or a professional therapist. It doesn’t help if you shut yourself off from those who were part of your life when you were a couple. Often, the spouse who’s left on Earth feels as if they’re not welcome in the old group, or they feel guilty about socializing. Yes, of course, it takes guts to go out alone and integrate back into the group, but you can do it. Often, you might find that your friends avoid the subject of your loss because they think it will be upsetting. Yet, true healing comes from talking about how you miss your beloved partner. I always recommend that you try to include your loved ones in events, parties, or family gatherings. Toast them, talk about them, ask for a sign, and even take out the pictures of them particularly when they were happy. Let them know how much you still love them, because they feel it all. In almost every reading, a loved one comes through to validate a certain event. It could be a wedding, a baby shower, a special vacation cruise, a birthday party, or simply a walk on the beach. Just because they’re no longer in a body doesn’t mean they’re not enjoying being with their loved ones still. There is work to do when you lose someone. You have to go through the bereavement process so that healing can only occur when you deal with your confusion, anger, and grief and know that you can stand on your own . . . with your loved one standing right beside you. 7. What has been your best and worst ‘wow’ or ‘knowing’ moment and how did/were you able to give this when received? There have been so many messages over the years, I can’t comment on just one. But, I can say I am fascinated how Spirit works through me. I also am honored when people write me back and they tell me how one message changed their life and the lives around them. 8. Mediums talk about meditation, and altered states of awareness. Do you meditate and can you let me know what you do when you are too busy to meditate? Yes, of course I try to meditate, but like all busy people there are days when my schedule gets in the way, such as when I am traveling, but event then, it’s possible. For example when I am sitting in a busy airport waiting for a flight, it’s possible to zone out all the announcements and noise for a few moments, and just meditate. Equally, when I am walking my dog I practice a beautiful walking meditation that I use. 9. What advice would you give someone who has difficulties when learning/trying to meditate? Start off simple. Find a CD where you feel a sense of connection with the voice, one that resonates with you and then don’t expect too much too quick. It takes time, and with gradual practice you start to go deeper and deeper. I never push my own meditation CD’s on anyone, but I’ve had loads of positive feedback, and I like to believe that they have helped people both who are experienced and those just starting out. For example I great starter would be one of my CD’s called Healing Relaxation & Psychic Awareness http://johnholland.com/store/audiocds as it’s a nice easy way of getting to know how meditation works. 10. Do you believe that sending out positive thoughts can help to aid negativity and also heal? Yes, as anyone who either knows me, or who has seen me work will know that I am often heard to say “all thought creates reality” and “Your Loved Ones are just a Thought Away”. So yes, I believe in the whole positive thinking and how you can influence people, outcomes through positive thinking. It often takes a few moments to give of yourself, whether that’s gifts of your time, your love or something more physical … but when you offer positive thoughts combined with giving of yourself … it’s a wonderful recipe for healing … the body, the mind, the soul to uplift your spirit. 11. Do you ever get time for rest and relaxation and what do you do when you relaxing from work? My schedule is pretty hectic for sure, but my pleasures are simple, in that I love spending time at home (when I can), spending time with my dog Koda, and special friends. I have been lucky to travel extensively with my work, and so when I get time to visit some favorite places both in the USA, the UK and Europe, then I jump at the chance. 12. In your view what would you say are the positives and negatives of the increased media exposure to spiritualism in general ... and do you think the media portray the correct message and knowledge? On the whole, it’s a good think that media and social media play such a large part of our daily lives, and without the exposure people wouldn’t get educated. Of course, there will always be negative media from time to time, but on the whole I would say that people are more aware of Spirit, more aware of leading a multi-sensory life, more aware of what intuition is and how to tap into it … and more aware of the beautiful balance of the body, mind and soul in their lifetimes. 13. If you weren’t a medium, what occupation would you now choose? I’ve been a medium for so long, that I can’t imagine my life in any other way. I feel I dedicated my life to Spirit. But, if I did do something else, it would definitely would be working with animals. 14. Do you have a family? If so, what do they think about your mediumship? Yes, I have a supportive family of brothers and sisters, who are all very proud of their brother and what I do, and how I help others. They may not be able to understand (what I do) but they are proud. Ying Yang! I am John the medium … who is one man, the one who can jump on stage and talk to thousands of people, then there’s John at home, who’s quiet and thoughtful. 16. Could you sum up your philosophy in two or three sentences? My philosophy is centered very much around being an authentic medium of total integrity and I try to tell people: That you are a soul that comes with a body – not a body that comes with a soul. As a soul we are always connected to each other – no matter what! 17. Work and personally, what would you like for the future? To continue to be recognized for who and what I am, and to feel that when it’s my time to stop or that Spirit has other plans … then I know that whatever is then in front of me, I will step forwards with pride and satisfaction for everything I’ve achieved and done during my lifetime on this earth. John Holland – Internationally renowned psychic medium, spiritual teacher, author, and radio host.” His public demonstrations provide audiences with a rare glimpse into the fascinating subject of mediumship, which he delivers in his own unique style, explaining the delicate process of raising his own vibrational energy to link with the Other-Side and deliver messages, which he does with clarity, passion and the utmost integrity. John has spent a significant part of his life developing his abilities, and spent two intensive years studying in the UK, where he got the thorough grounding and training to become one of the most sought after professional mediums on the world stage today! For further information about John Holland, visit http://johnholland.com/ . For all PR and Media Enquiries, please contact Simon Steel Simon@johnholland.com . Interview conducted by Kate Bowman: © John Holland, Kate Bowman 2014. 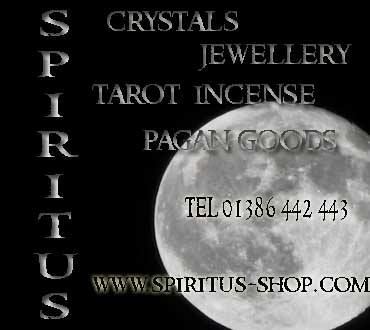 I have been extremely lucky to have worked with some great well known mediums and Astrologers throughout my journey including Mavis Pittilla, Gorden Smith, David wells, and psychic mediums Derek Acorah and Tj Higgs. I have also had the fun and privileged opportunity to have interviewed Kyle Grey, John Holland and Colin Fry for the magazine that I work for Silent Voices. 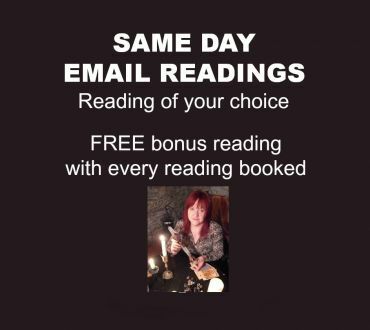 As part of my work I offer one to one tarot readings, online or phone readings, and parties. I teach tarot with astrology and run two spiritual development classes. 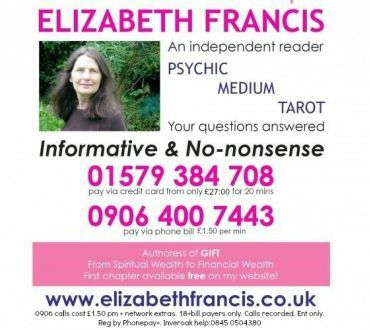 Throughout the year I run different work shops on Tarot,Astrology and Angel or oracle cards. I am Reiki 2 trained but use my Angelic reiki for my healing as I find this has a stronger connection for me.